Something I'm working on. Been awhile since I uploaded anything new. You have some really impressive drawings on here! 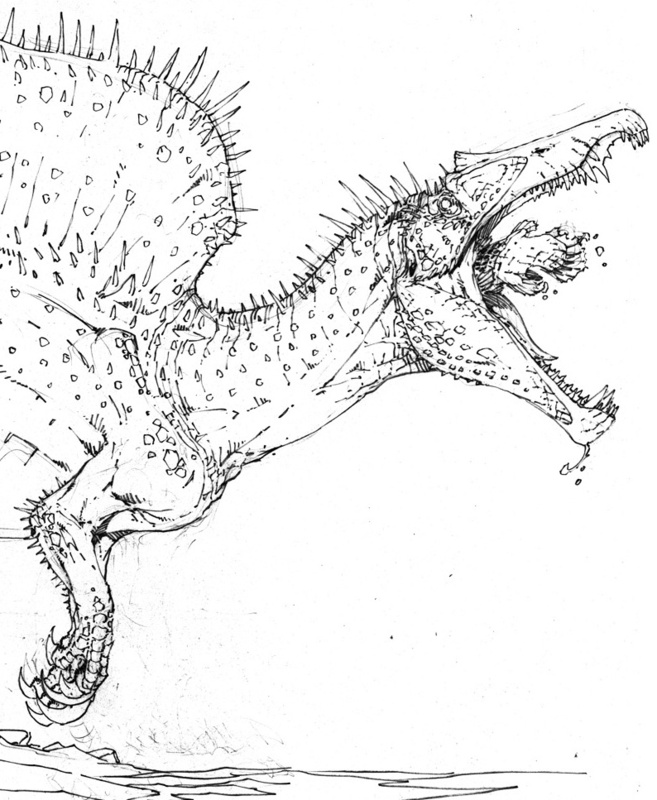 Man, now I wanna draw some dinosaurs! 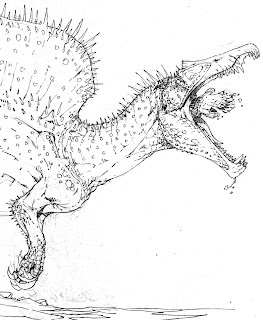 An excellent illustration of a Spinosaurid, although I too, was a little confused when I first looked at the drawing, not sure what was sticking out of the mouth. Fantastic drawing. I love that it's swallowing a fish. Nice.